24VDC POE Injector & 240V AC Adapter included. AirMAX ac supports high data rates,which require dense modulation: 256QAM – a significant increase from 64QAM, which is used in the original airMAX range. With their use of proprietary airMAX ac technology, airMAX ac products supports up to 330+ Mbps (maximum 40 MHz channel width) real TCP/IP throughput – up to triple the throughput of standard airMAX products. While Rocket is capable of some amazing things, the 2AC model is typically coupled with omnidirectional antennas to provide high powered 802.11n WiFi access in a 360 degree range. 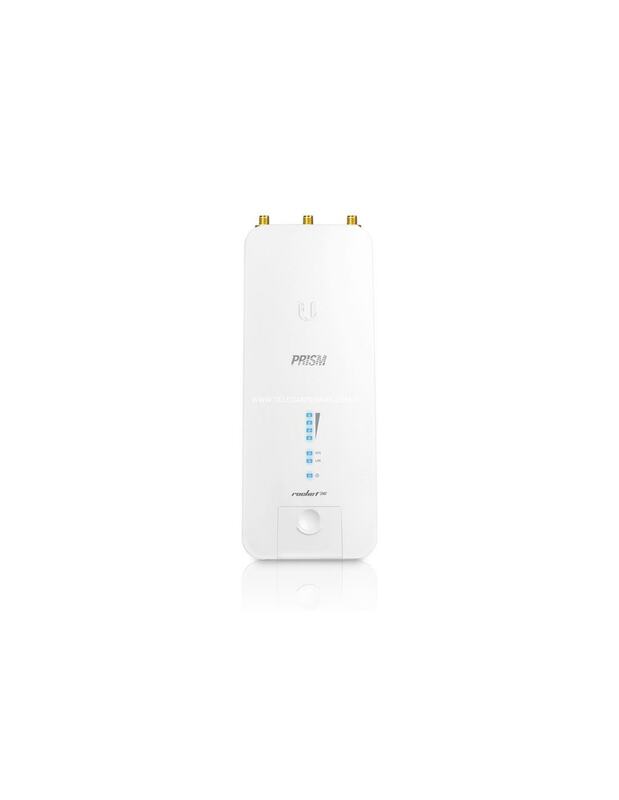 Unlike the UniFi AP-Outdoor, this unit does not require a controller and is configured using only it's integrated HTTP interface. 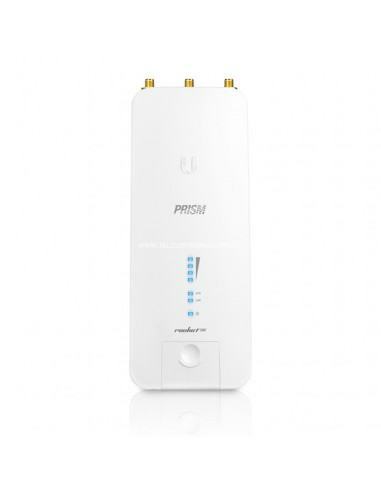 The Rocket combines the “brains” in one robust unit; allowing it to be paired with any 2.4GHz (M2) WiFi antenna on the market. This versatility gives network architects unparalleled flexibility and convenience. This is a transparent data-link layer bridge, not a routed bridge - this means that you are creating a virtual ethernet cable between the two facilities, making network setup incredibly simple - no routing configuration, all protocols (DHCP, DNS, etc) just work. Management of the Ubiquiti device couldn't be easier with SSH and SNMP protocol support, as well as a very intuitive HTTP interface. The units are powered via Power over Ethernet (PoE) - simply plug one end of the Ethernet cable into the Rocket, and the other into the PoE Injector (which is plugged into AC power). This allows one cable to both power the unit and also carry network traffic.